It is hard to believe that it is the middle of April already! The arrival of April means that we are a quarter of the way through the year. I thought that would be a good time to look back over my goals for the year and see how I was progressing and what I needed to change to help me achieve those goals. First, I am thrilled to say that I am rolling right along with my reading goal. I doubled my reading goal from 12 books in 2018 to 24 books in 2019. So far, I have read Book Girl, Becoming MomStrong, Uninvited, Just Open the Door, Girls Club, Building Family Ties with Faith Love and Laughter, Get Your Home Office Organized, and since the beginning of April I read Capital Gaines. (I want to note that I read the hard copy but I did notice that it is free on Kindle right now.) I enjoyed that book even though it is not in my normal reading genre. It was a nice evening read and very motivational. I am also continuing to read The Organized Homeschool Life, which is designed to done one week at a time. I plan to finish Caught Up in a Story and The Journey that Saved Curious George this month. A few of the books I just finished and those I’m still working on. I have done reviews of several of the books in the list above and I won’t repeat those here but I wanted to take a minute to talk about Building Family Ties with Faith, Love, and Laughter. That was a book I found at a yard sale one day and decided to give it a try. I had not researched it or seen it talked about before. I am so glad that I picked it up. It was an easy read that was full of great ideas for building strong family ties. This is an area that my husband and I prioritize and it was great to have some encouragement and easy to implement strategies. The author talk’s about many components of building family ties from family mission statements, adding laughter to your lives, family dinner tables, and even serving others. Another family goal was for each of us to walk/hike 100 miles this year. I joined the NC State Parks 100 mile challenge and had planned to track our hikes and walks. I can say that we have not hiked as often as we hoped due to many local trails being closed due to hurricane damage, but we have been walking more often and have recently been able to get out and hike a few different trails. Now I just need to remember to track those miles. I have been very slack about tracking the miles, but I am hoping that with my renewed focus, the warm spring weather, and our trails reopening I can get to work on this goal and still make 100 miles by the end of 2019. I have been continuing to work on my goals and focus of being still with God and being present with my family. I honestly, love the progress I’ve made at being able to walk away from the to-do list and spend time just playing with my children at some point each day. My two youngest and I have been getting outside four or five mornings a week to take a walk or just play int he grass. I have also enjoyed playing catch with my oldest son. I started out the year spending some time each day copying out scripture verses and felt that it was a great way for me to spend time ‘being still’ and focused on God. With some changes to the baby’s schedule that sort of fell to the way side but I am working on changing up some things so that I can still get that time. I have also gone back to reading my Bible and doing a devotional on my phone. This allows me to do it quietly in my bed before the children wake up. My children seem to have little alarms in their heads that wake them up the moment I climb out of bed to try to have quiet time, so being able to have that time without getting out of bed is ideal. All in all, I still have some work to do but I am pleased with the progress that we have made toward our 2019 goals. I am looking forward to reading even more good books, getting out on the hiking trails, and spending more time focused on the things that are important in my life. Have you taken the time to evaluate how your year is progressing? What things are going well? What do you need to work on? 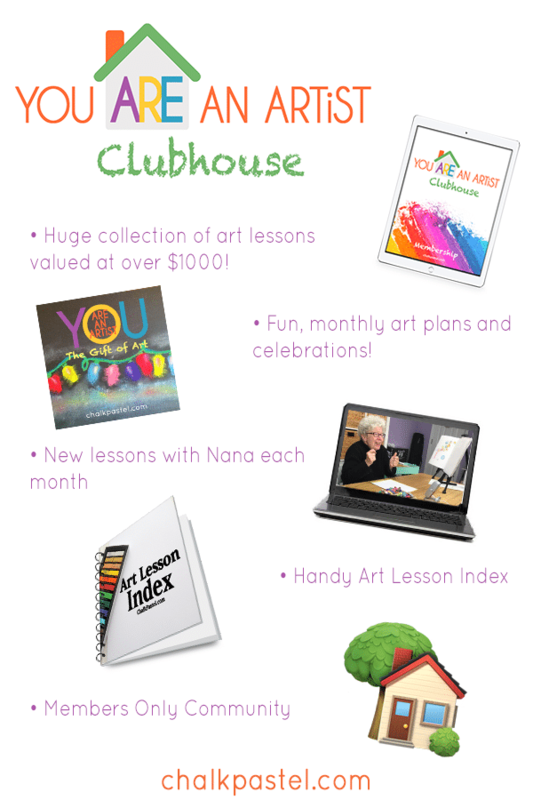 Schoolhouse Teachers is also offering a great sale! If you want to give it a try, your first month is only $1 or you can get an entire year for $111. My daughter is getting ready to use a photography class from our subscription to help her learn more about her new (to her) camera. It sometimes seems that the kids need you ALL. THE. TIME! It’s okay to just want 20 minutes of quiet… so you can get things done. Join the FREE Independent Play 5-Day Challenge! I struggled a bit with books for the letter I. There were not any that jumped out at me at first and then I was looking at my son’s book shelf and thought of If You Give A Mouse A Cookie and the others in the series by Laura Numeroff. This series is perfect for read aloud time! I am even thinking about using them for a special ‘tea party’ featuring some of the foods from the books. If you have not seen these books, the premise of the book is that if you give a mouse a cookie he will want a glass of milk, and he will need a straw, and on and on it goes. It is a cute little book that is lots of fun to read with young children. The patterned language allows them to quickly pick it up and begin to help you ‘read’ it even when they are not yet actually reading. Other books in the series feature pig, moose, and other animals and their adventures. The illustrations by Felicia Bond are absolutely adorable. There is even a free movie series made about the books on Amazon Prime. I have not seen all of these but we enjoyed the Christmas Cookie episode. There have also been cute poems and memes made using the same language pattern, such as this If You Give A Mom a Muffin example. These are simple fun reads that are great for preschool and elementary age students. Have you tried this series? Which one is your favorite? Heroes Next Door: Hornet 24 holds a special place in my heart. My husband wrote it and the two lead characters are heavily based on my two oldest children. It is a historical fiction novel based on the Vietnam War. It was inspired by my son’s interest in the war and his relation with several different veterans. When my husband started looking for books for him to read, they often had content that we found inappropriate for children (drugs, language, relationships, etc). He wanted to create a book that would be interesting to students, give an accurate historical picture, and yet still be appropriate for a younger audience. Through the story, there are references to current events and culture of the 1960s, life in the Army, flight physics, and modern life lessons for young folks. Chris really tried to create an immersive environment to share a typical story and give background information about a controversial war. He also worked to take a moderate position, helping to explain either polarized side of the debate. This book is a great addition to a US History course, a fun read aloud for any age level, and is a good independent read for upper elementary and middle grades students. While I am sure they are just a little biased since they are on the front cover, it really is my children’s favorite letter H book. My son has read his copy over twenty times. I highly encourage you to check Heroes Next Door: Hornet 24 out and let me know what you think! As a bonus we are running a give away in honor of the one year publishing anniversary! You can find that giveaway HERE. Who doesn’t like talking rabbits? Add in a few swords and some classic good vs evil action and you have a recipe for a great family read aloud. This great series by SD Smith is one of our family favorites. The first book took a few chapters to really get into, but after that, we were all ‘hooked’. We actually enjoy listening to these as audio books on our travels, but my son also has the paperback versions of most of them so he can also read them independently. The main characters are rabbit siblings Heather and Pickett. At the beginning of the Green Ember they lead very ordinary rabbit lives, but then a series of tragic events lead them on an exciting adventure of fighting for both their safety and good vs evil. The book is exciting and not gratuitously graphic but it might be a little intense for some young readers. There are battle scenes and the audio version has some very good sound effects. We thoroughly enjoyed this book and the others in this series. I always appreciate being able to give my children fun examples of bravery, valor, honestly, and other important values. C.S. Lewis once said, “Since it is so likely that (children) will meet cruel enemies, let them at least have heard of brave knights and heroic courage. Otherwise you are making their destiny not brighter but darker.” I think these books are a great example of offering our children stories of brave knights and heroic courage. My daughter also really wanted me to mention Gooney Bird Greene as a G book that she really enjoyed. Gooney Bird Greene is about a young girl named Gooney Bird and her adventures at school. It is a great choice for students that are just getting into chapter books. Have you read the Green Ember before? I noticed that it is currently free with kindle unlimited. What is your favorite ‘G’ book? I would love for you to share in the comments and let us know. 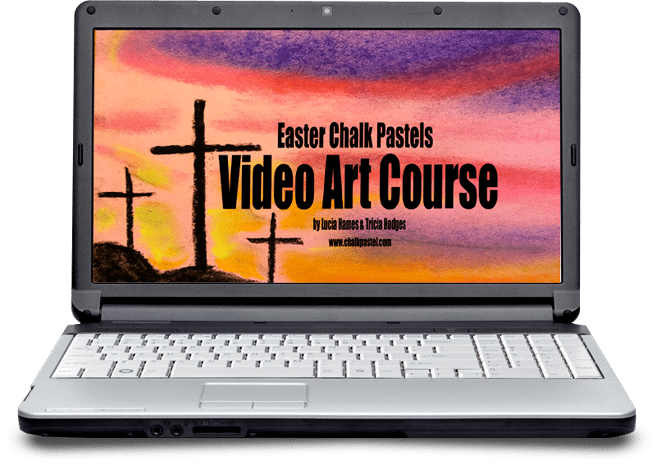 You Are An Artist is having a spring sale right now on their courses included a great Easter course. This week my daughter chose the book. This is the book that I assigned her to read last week and when she was finished she immediately asked me if I would chose it as the ‘F’ book in the series. It is a longer chapter book and so I had allowed up to two weeks for her to finish it but she had it done in about four days. From The Mixed Up Files of Mrs. Basil E. Frankweiler is a fun book about a girl and her brother who run away and live in an art museum for a little while. They have many adventures and meet a lady named Mrs. Basil E. Frankweiler. They also discover and solve a great mystery. I think this book speaks to the adventurous parts of our soul. So many times as children, we long for something exciting to help to break up the day-to-day routine. I know as a child I used to imagine myself having a grand adventure and solving a big mystery. Books like this allow us to live vicariously through the main characters and have adventures while never having to leave the comfort of our own homes. Have you read From The Mixed Up Files of Mrs. Basil E. Frankweiler before? What is your favorite ‘F’ book? I would love for you to share in the comments and let us know. Last April we had the privilege of traveling to Lancaster County, Pennsylvania to visit some friends and see the sites. While were there my daughter enjoyed learning more about the Amish culture. Since she was so interested in the culture, my mom found the book Ellie by Mary Christner Borntrager for her as a part of her Christmas gifts. Ellie is the first book in the Ellie’s People Series. Ellie is also one of my daughter’s nicknames, so it seemed like a great book for her. In our hurricane relief efforts, our family has had the opportunity to meet and work with many different groups of Amish and Mennonite who have traveled to our church to help with the relief work. This has fueled my daughter’s interest in these unique cultures. The author was born and raised Amish and uses the books to share the stories of her childhood and youth among the Amish people. Each book focuses on the story and life of one particular person (the namesake of that book) but also shares about others in the community. While these books are fiction, they include a lot of real information about the Amish culture and Mary Christner Brontrager’s childhood. My daughter even mentioned that, “I like how it uses a few words of Pennsylvania Dutch and then includes an English translation for those words.” In Ellie we learn about Amish weddings, funerals, and other customs through the eyes and experiences of Ellie. After reading Ellie, she asked us about getting more books in that series. I was able to get a good deal on a collection of them and she read them rapidly. Reading late into the night and each morning before she got up. I loved that she found books that she enjoyed that much and that were also helping her learn and appreciate more about another culture. Have you read Ellie before? What is your favorite ‘E’ book? I would love for you to share in the comments and let us know. My youngest son was born near the end of February but when we looked at family schedules, we needed to wait and do his party on the first Saturday in March. I scheduled his party and then realized that the date coincided with Dr. Seuss’s birthday. I decided not to let that coincidence go to waste and set out to plan a fun but simple themed party. There are hundreds of ideas for a Dr. Seuss themed birthday party on the internet so I had plenty to choose from. Then my older children got involved and started adding ideas of their own. Together we came up with some fun, easy, and inexpensive ways to turn the birthday party in a Dr. Seuss extravaganza. I spent a mere $14 at the Dollar Tree for decorations and the only other expense was food (around $50 for 30 guests). We utilized the Dr. Seuss books that we already had along with the bright red, blue, and white decorations from the Dollar Tree. This kept it simple and made a big impact. I focused on decorating the food table and the area where the high chair was set up for the baby and his smash cake. We also chose mostly foods that could be prepared the day before to keep stress levels low and allow me to be able to enjoy the party. I adapted Lindi Haw’s idea of using a Dr. Seuss book as a guest book. I had each of our guests write in the cover of Oh The Thinks You Can Think!. I am very excited to have that keepsake for him when he gets older. When we were thinking about themed snacks, we immediately thought of green eggs and ham. We simply made our regular deviled eggs and added a bit of natural blue food dye to make them green. I added a bit of ham to the serving tray and it was done. Next,came a series of Cat in the Hat snacks. We found several ideas over at Mighty Moms and then added one of our own. We made Jello Stacks and strawberry and banana stacks from ideas we found there. Then we also added tomato and mozzarella skewers. I simply cut up some fresh mozzarella and alternated it with cherry tomatoes on the skewers. We also got our idea for ‘roast beast sandwiches’ from that blog. My children thought it would be great fun to have Truffula trees and came up with two different ideas. First they had broccoli with dip as trees and then, my daughter created a ‘forest’ of Truffula trees using lollipops, an egg carton and a bit of green tissue paper. She covered the large egg carton with the green paper to give her a base and then simply poked holes and stuck the lollipops through the holes. We also had the colored gold fish in honor of One Fish Two Fish Red Fish Blue Fish and my daughter decorated cheese sticks to resemble the Cat in the Hat. We can’t forget the cakes! We had a small smash cake for my son that my daughter topped with whipped cream and used blueberries to make a “1”. Then for everyone else my mom had made her special strawberry cake and my daughter used strawberries to decorate the top like ‘Cat in the Hat’. While the party was for a one year who did not really care about crafts, my eleven year old daughter thought it would be lots of fun to do themed crafts with the other young children. So she set up a station outside where they could do a hand painting activity and decorate their own ‘Cat in the Hat’ hats. Overall, I thought the party was a great success. We were able to decorate in just a few minutes, the snacks were fun but simple, and everyone had a good time. These ideas are great for a birthday party or to celebrate Dr. Seuss’s birthday. 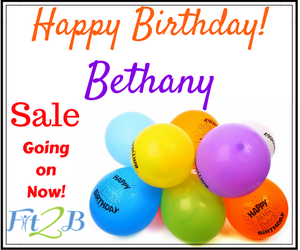 What are your favorite birthday party themes? This week I chose a picture book that is near and dear to our hearts. My children have all loved this book (and the others in the series) and the fact that it is set in our home state of North Carolina. Though not as well known as some of the other books I have shared, it is a wonderful addition to any children’s library. Danny and Daisy: A Tale of A Dolphin Duo is book #13 in Suzanne Tate’s nature series. The beautiful illustrations are done by James Melvin. We have collected most of the books in this series and a few of her history books as well. They are all wonderful but Danny and Daisy was so well loved that my children wore out our first copy and I had to purchase a second copy. Danny is a wild dolphin who needs help because he is alone and hungry. Since he is unable to get enough to eat or find his pod, he is brought to a science center to recover. There he meets his friend Daisy dolphin who was brought there because she had problems with her eyes. Together they have a great time and recover while also meeting lots of ‘helpful humans’. This series of picture books is great for learning about different animals, mostly sea and beach animals, and how we can be ‘helpful humans’ and take care of the environment. They are short picture books that are fun to read and can be enjoyed my children of any age but I have found that my children particularly enjoy them from around ages 3-8. They could also be a fun way to introduce a science study about marine life with older students. Have you read Danny and Daisy before? What is your favorite ‘D’ book? I would love for you to share in the comments and let us know. If we are being really honest, I love pie more than I love pi. However, we love celebrating Pi Day with both yummy treats and fun math lessons. Last year I shared how we celebrate Pi Day with a group of our friends. We are continuing with that tradition this year, but I also wanted to share some of my favorite math books. Not the textbook type of books but picture books full of math ideas. These are a fun way to introduce or reinforce math concepts, especially for students that enjoy reading. You can even enjoy them with a piece of pie! When you put the math concept into a story it can make it much easier to remember. It can also help make things more exciting for those students who might think math is ‘boring’. Circumference might not seem like an interesting topic, but make it Sir Cumference and add in knights and dragons and suddenly you have their attention. This is by no means an exhaustive list of math books, but rather a fun list to get you started. If your student really enjoys learning math through reading, Life of Fred is an entire math curriculum designed as a story. You may think of picture books as something for young children, but many of these books have upper elementary and even middle school concepts in them. I encourage you to try math picture books with any age student. One of my fondest memories of a college class involves a professor reading aloud a picture book. Whether you are looking for a way to celebrate Pi Day, reinforce math concepts, or just add a little more reading and fun to your homeschool day, I hope you enjoy this list of books! If you have a favorite math picture book let me know in the comments. I had almost forgotten how much I enjoyed Anne of Green Gables (and the rest of that series) until I had the chance to re-read it with my daughter last month. I assigned it to her because I knew she would enjoy it and I thought it might be good encouragement for her to venture into longer chapter books. When I first gave a copy to my daughter she was a little concerned about the length of the book (her copy was almost 400 pages), but I gave her an entire month to finish it and promised the opportunity to watch the movie together when she was done. She did a great job reading it and we enjoyed discussing some of the events and characters in the book. I had hoped to complete a re-read of the book while she was reading it but life had other plans. I still intend to finish it but I did not make her wait for me to finish it for us to start watching the movie. The movie is about three hours long so we watched half one day and are planning on finishing it up soon. Anne of Green Gables is an excellent book for reading aloud or having your child read independently. It would also make a great family audio book. This wonderful tale of a feisty and spirited orphan brings out many different emotions from sadness to laughter throughout the book. There is no one quite like Anne (spelled with an E) and she has a profound effect on all of those around her. As a mother of two adorable red heads her dislike of her red hair makes me laugh, but I think it makes her so very relatable. Most of us had something about ourselves that we wished we could change. I think that her use of imagination helps remind readers about the importance of imagination in our lives. This is a classic that I think all children should read or listen to at some point in their childhood. Did you read Anne of Green Gables as a child? Have your read it aloud to your children or had them read it independently? What are your thoughts on this book? Check back next week for a great book series with the letter B.
PS When I checked on Amazon they have Anne of Green Gables on audio for less than $1 right now. Please note that prices on Amazon are subject to change so always check before purchasing.